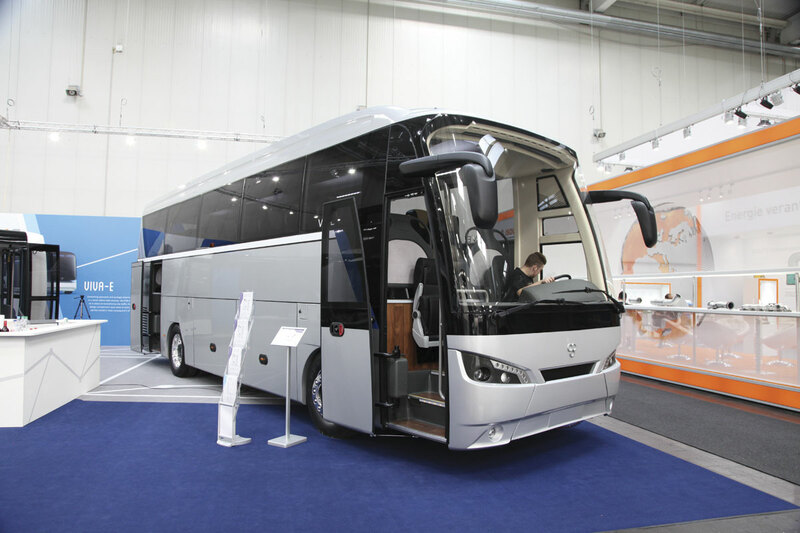 With floor space sold out some time ago, Euro Bus Expo 2014 promises a feast of new and updated products from across the industry and more. Visitors to the Birmingham’s NEC will not only see the latest in vehicles, products and related services, but have the opportunity to participate in the various workshops and side events in the Master Class which maximise the usefulness of the event. Then there is meeting up with old friends and colleagues and catching up with developments in the business whilst visiting over 280 stands across the show’s five zones, Vehicles, Environment, Accessibility, Training and Technology. At 2012’s show, Euro5 designs were at their zenith and the industry was coming to terms with the reality that Euro6 would, at some time, be introduced. Now, two years later, Euro6 has been embraced and across the vehicle and component industry it has been a trigger for innovation making this year’s show a must see for anyone looking forward with the industry. Two Ministers have allocated their time to the show and will be making keynote speeches. The official show opening ceremony will take place on the show’s second day with the address by Rt Hon Patrick McLoughlin MP, Secretary of State for Transport (Subject to Parliamentary business) at 1135. Baroness Kramer, Minister of State for Transport, will make a keynote speech from the Environment stage on the third day at 1100. Entry to the show is free and if you haven’t already registered on line, don’t worry, you’ll still be able to get in. Online registration is quick and easy plus you can print out your voucher before you set off. Organised by Diversified Communications Ltd and the Confederation of Passenger Transport, Euro Bus Expo event partners are ADL, Plaxton, Rescroft, BAE Systems and Lytx Europe. The organisers expect well over 100 vehicles to be displayed with new models from many manufacturers available for closer inspection for the first time. 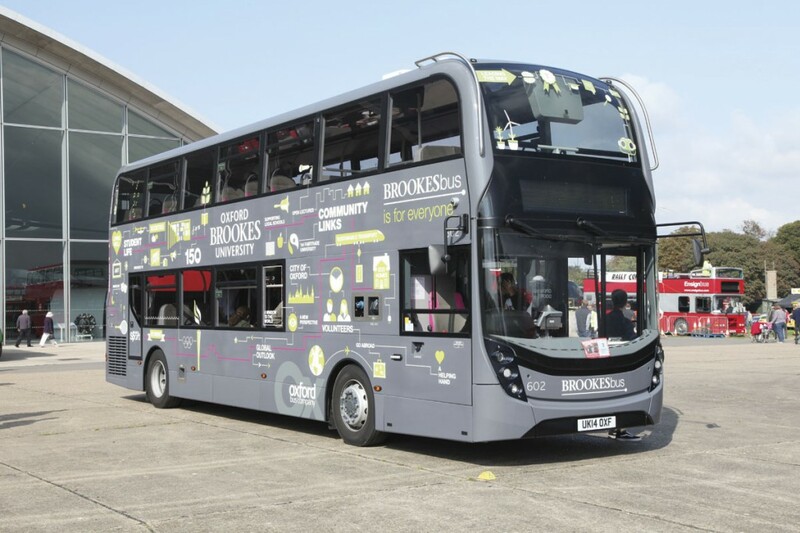 The UK’s three main double-decker manufacturers have all launched new Euro6 models. Bus and Coach Buyer recently looked in detail at ADL’s latest MMC (Major Model Change) Enviro 400 and Optare’s MetroDecker and in this issue we reveal more about the Daimler engined Wrightbus StreetDeck which we see for the first time. 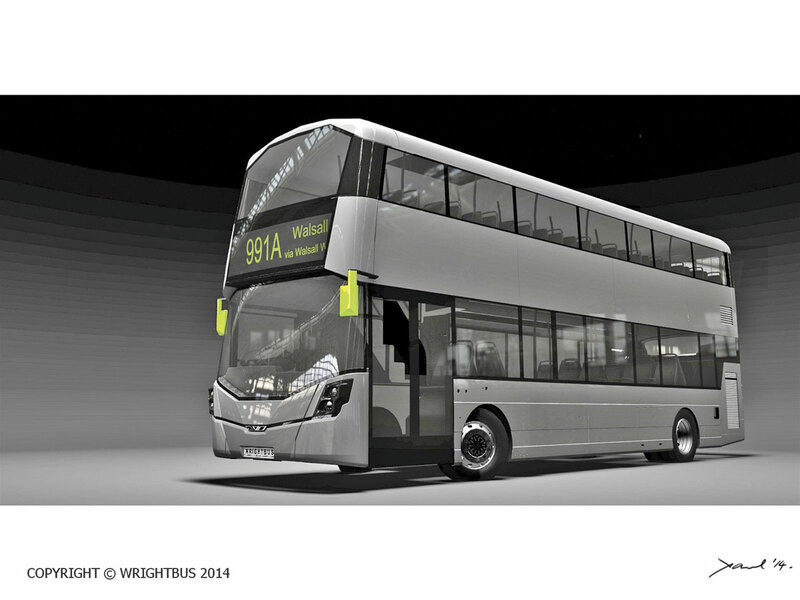 StreetDeck styling will also feature on the Wrightbus Gemini 3 bodied Volvo B5TL. The B5TL in chassis form will appear on Volvo’s stand. Moving to single deckers, ADL are following the Enviro 400’s MMC revision with a similar make over of the Enviro 200, another show debutante, making it lighter and more economic in operation. 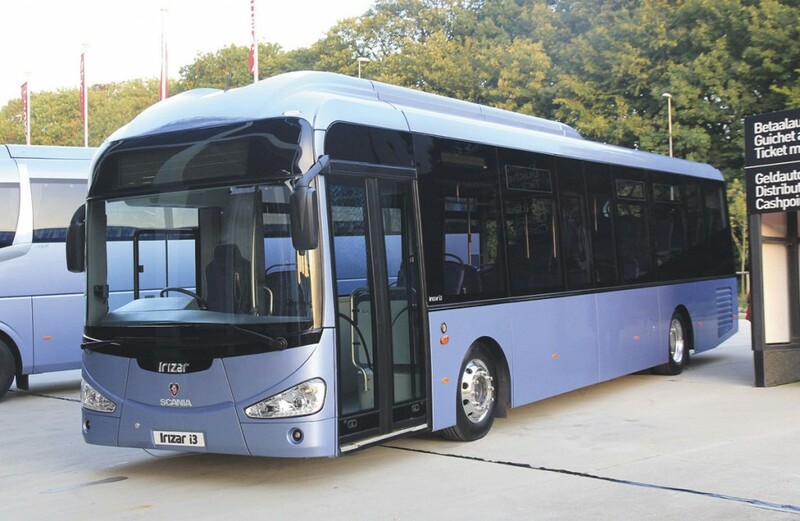 Expect to see more of the ADL, Optare and Wrightbus ranges with perhaps some surprises. 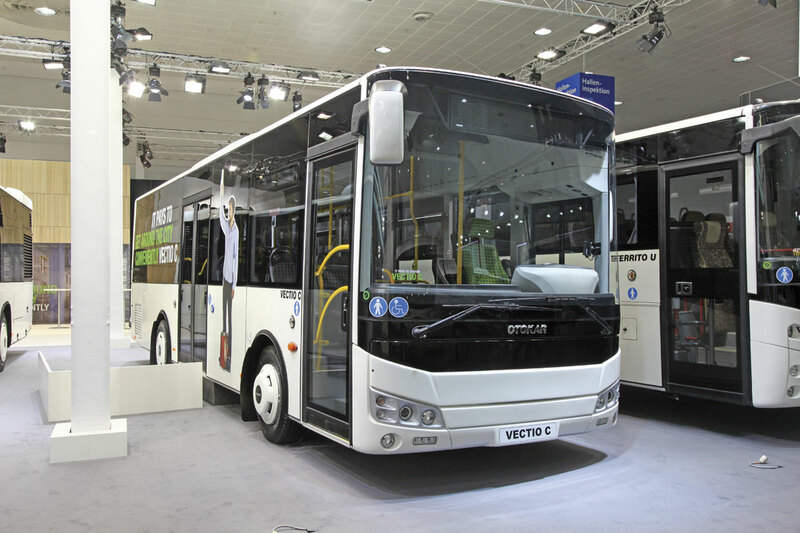 Scania’s solution for Euro6 is to extend their successful partnership with Irizar for the coach market into low floor buses. The i3 concept was shown at Kortrijk last year but will be available for closer inspection at the NEC. Mercedes-Benz were one of the first manufacturers to exhibit a Euro6 bus at a UK show with the Citaro K back in 2012, now they will be showing an example of the series production of 12m vehicles which are entering service with a number of operators across the country. MAN’s bus contribution will be the first show appearance of the forward engined midibus developed with Nu-Track, The Pulse. A further development of the same combination can be seen on Nu-Track’s own stand. The Mercedes-Benz Tourismo coach was also early to the UK in Euro6 form, its latest features will be seen on both two and three axle examples displayed. There will be other familiar coach models with new features, VDL’s Futura 2, Neoplan’s Tourliner, Irizar’s extended i6 range, the Beulas range, Volvo’s 9700, the Temsa Safari from Arriva Bus and Coach and the TX series from Van Hool. Base will introduce a new manufacturer in MOBIpeople, from the Portuguese team behind Marco Polo’s ceased European operation. Two MAN based coaches will be shown, the 12.28m Explorer on the RR8 chassis and the 8.6m Midi Explorer on the TGL base. Look out for what is said to be the highest specification Plaxton coach built so far, an Elitei amongst the coachbuilder’s full range on the ADL stand. The influx of Chinese built vehicles anticipated a few shows ago hasn’t happened as rapidly as some predicted and in 2014 King Long will not now be present after running its own series of roadshows. There will be a Chinese presence though with both Yutong and Higer appearing for the first time. 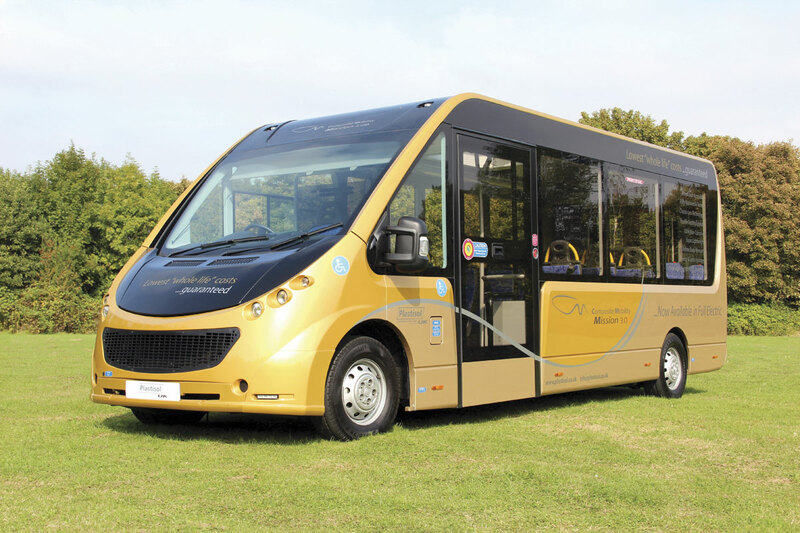 Pelican Bus and Coach have successfully introduced the Yutong brand to the UK and the show will premiere the Euro6 version of the TC12 12.28m coach with DAF power together with their solution for the midicoach market, the 9.35m TC9. Higer coaches are being imported into the British Isles by Harris Group in Dublin and their 9m Roadking will feature at the show. Higer also produce the coachwork on Scania’s Touring which will make its UK debut having been announced in right hand drive form earlier this year. Making a first appearance at the show will be TAM from Slovenia and Otokar from Turkey. 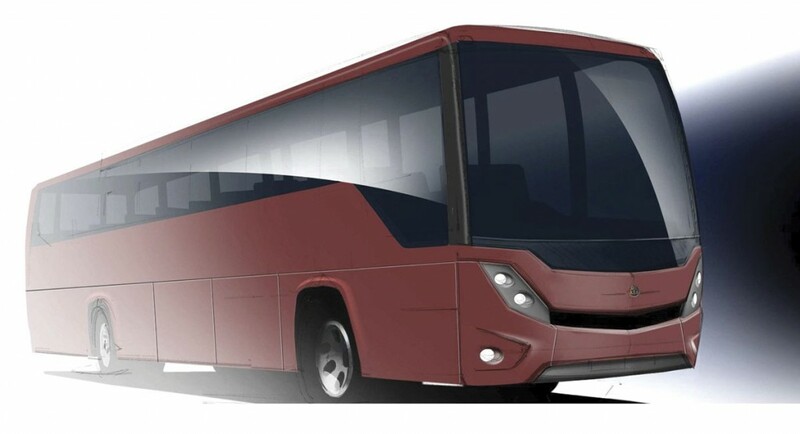 Both will be entering the competitive midicoach sector, TAM with the MAN powered Vive TH and Otokar with the Cummins powered Navigo T. Otokar will also show a low floor midibus with the Cummins-Allison combination. Visitors will be able to see the wide range of solutions which midicoach builders have adopted to fill the gap left by Mercedes-Benz’s decision not to re-engineer the Vario for Euro6. Some have gone for the Mercedes-Benz Atego including the Brian Noone Touras 900 from Minis to Midis, the Indcar Next from the Associated Moseley Group of Companies, Unvi with the Voyager and the Ferqui F5 from Connaught PSV. The Associated Moseley Group of Companies has also turned to Iveco giving us the new Sitcar Voyager. At the smallest end of the PCV market, the Mercedes-Benz Sprinter is almost the exclusive choice. 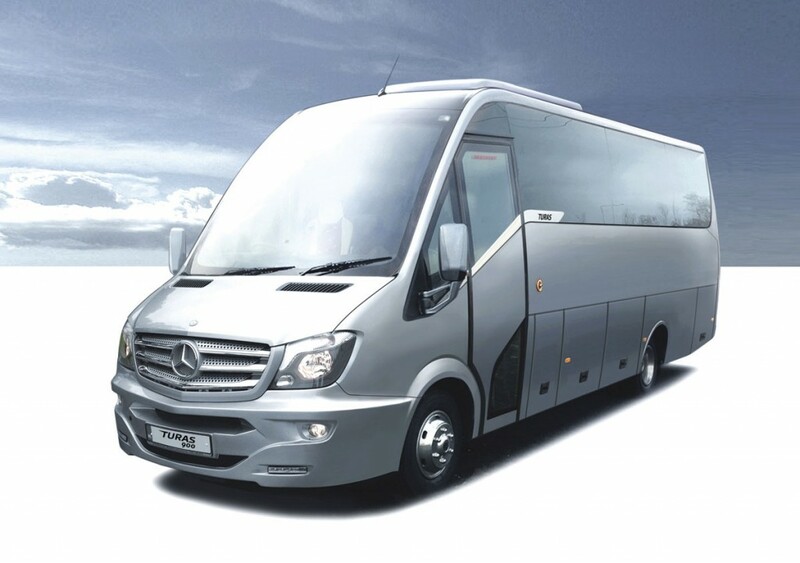 In addition to a variety of factory built models on Mercedes-Benz’s own stand, expect to see them as a base for products from Altas, Connaught PSV, EVM, GM Coachworks, Mellor and Unvi together with TrekaBus and Stanford Coachworks on the London Hire stand. Variation will be provided by a VW Crafter from Taxi and Bus Conversions and the Plastisol Mission which was recently reviewed in Bus and Coach Buyer. 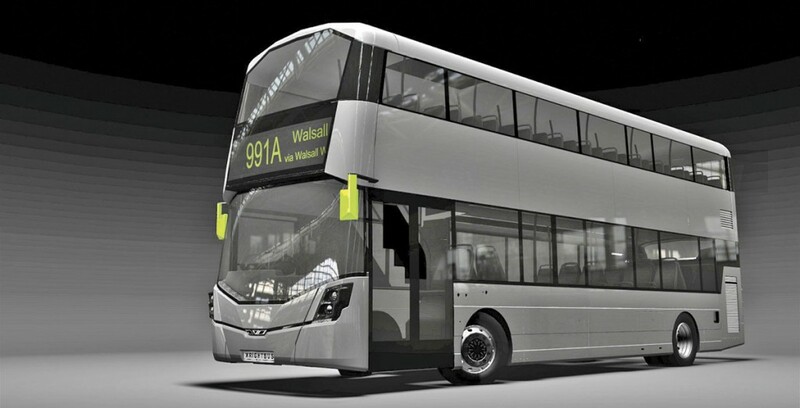 Notable for 2014 is less emphasis on hybrid vehicles although all the major hybrid systems suppliers including BAE Systems and GKN Hybrid Power will be present and Volvo will show the Euro6 version of the 7900H hybrid single decker for Lothian. 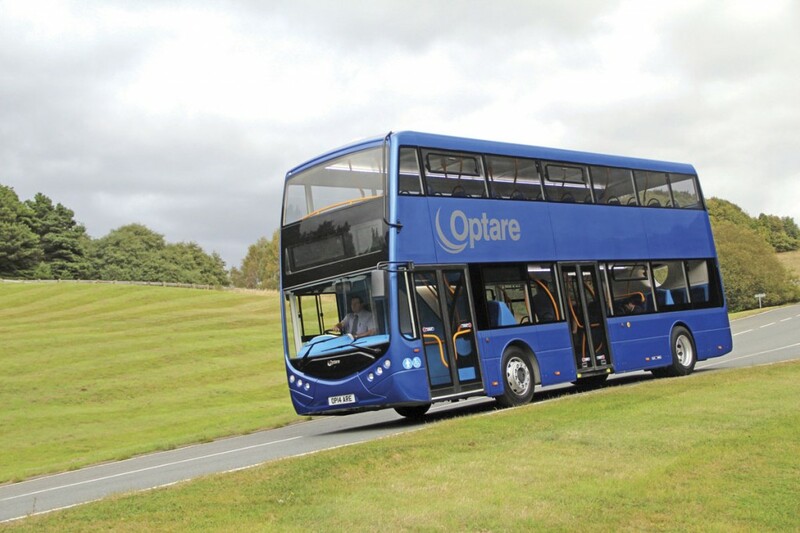 Beyond hybrid, Optare have made significant progress with electric vehicles and ADL will exhibit their virtual electric bus mirroring the trend to full electrification seen recently at Germany’s IAA. Look out also for the Magtec stand showing electric power packs for new and retrofit applications. Improving Fuel Efficiency – The Thamesdown Experience Using WheelRight Technology by John Catling, CEO, WheelRight. The Environment Zone stage will host the keynote speech by Baroness Kramer, Minister of State for Transport on the third day of the show and visitors will also be able to enjoy the Zone’s Recharge Lounge supported by BAE Systems HybriDrive. Within this Zone and building on the success of 2012, Rescroft will host the accessibleSolutions area with products from a variety of vehicle and component manufacturers on display in various combinations. These will include accessible vehicles, passenger and wheelchair safety and restraint equipment, ramps, lifts, steps and seating together with specialist training and finance services. After the final frantic push in 2012 towards the completion of the first five year CPC training programme, 2014’s Training Zone is slimmer and more balanced. 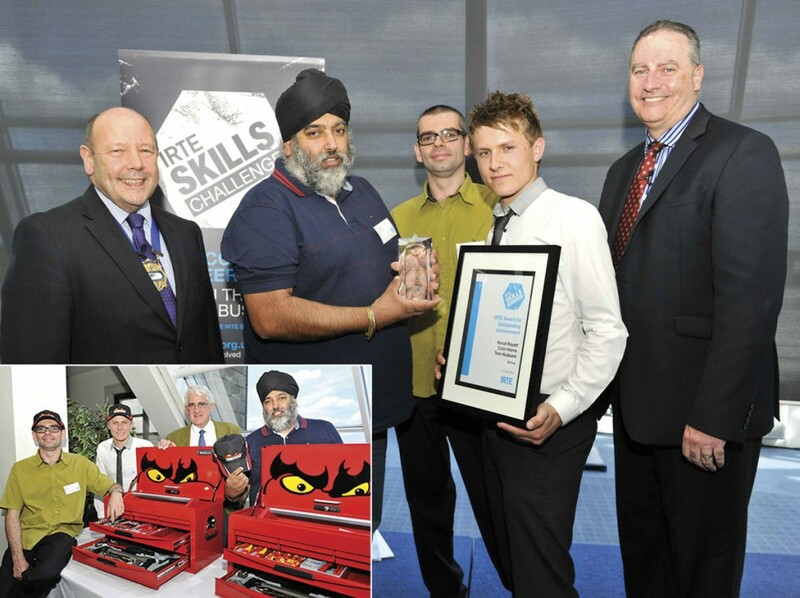 Training organisations and colleges will cover the full spectrum from driving to engineering and the event will include the launch of Skills Challenge 2015, IRTE’s fifth challenge for engineering teams. Technology presents the industry with the opportunity to further improve the customer experience and achieve safe, legal and economic operation. This Zone will feature exhibitors showing the latest in fare collection, ticketing, scheduling, passenger information, journey planning and all supporting IT services. Within the Technology Zone, the Master Class is an extensive programme of presentations from respected industry professionals covering topics essential to the future of the industry. Each day will see presentations including keynote speeches, a look at tomorrows’ world and new technology together with a facilitated debate on key subjects on two of the days. Keynote speeches will be made by Leon Daniels, Managing Director Surface Transport, Transport for London on behalf of the IRU on day one and by Rt Hon Patrick McLoughlin MP, Secretary of State for Transport (Subject to Parliamentary business) as an opening address at 1135 on day two. Service Delivery that is Fit for the Future by Alan Barrett, Gloucestershire County Council, Peter Hardy, JMP Consultants and Local Bus Operators. The two debates will cover Tomorrow’s World: An Insight into the Future of Bus and Coach Travel featuring Bus and Coach Buyer Columnist Roger Davies on the panel, facilitated by Dave Guest and a Young Bus Managers Network look at Emerging Technologies facilitated by Mike Morgan. The show will be the opportunity to talk to a wide range of finance and legal service providers and there will be other themes to interest visitors, don’t miss the London B Type ‘Battle Bus’ bringing home to us the events of a century ago. Fitting it all in on one day will be a challenge but if you miss something, you should be able to read about it in Bus and Coach Buyer’s comprehensive show reports from Stuart, Rob, Chris, Kirsty and David which will appear in subsequent issues. By Car: Leave the M6 at Junction 4 or the M42 at Junction 6 and follow the signs for NEC. Once inside the NEC boundary follows specific signs to Coach & Bus Live. If coming from the North you may find the M6 Toll useful to avoid congestion around Birmingham on the M6 particularly at the M5/M6 interchange. If using SatNav insert the postcode B40 1NT into your device. Parking is currently £10 per day and you need to purchase your ticket before you return to your car as there is no pay-on-exit facility. Shuttle buses will take you from the car park to the Exhibition halls. Private Coaches: As above. Once inside NEC boundary follow signs to the Coach Park. Disabled Parking: NEC has specific parking for disabled visitors but please note this now carries the same charge as the normal car parks i.e. £10 per day and you will need to purchase your ticket before you return to the vehicle because there are no pay-on-exit facilities. By Bus/Coach: The 900 bus service from Birmingham Moor Street Interchange to Coventry calls at Birmingham International rail station. Then follow signs to NEC and the signs for Hall 20. National Express coach services serve both Birmingham International rail station and airport. Go to www.nationalexpress.com and follow the links. By Rail: The NEC has its own station, Birmingham International, on the Birmingham to London West Coast main line. From the station follow the signs for NEC and the signs to Hall 20. Air-Rail link from Terminal 1 to the station and then follow the signs for NEC and the signs for Hall 20. Alternatively it is a short taxi ride. BHX provides direct airlinks to many European cities, with regularly flights also to hub airports such as Brussels, Amsterdam, Frankfurt, Paris and Copenhagen. For further details on flights please visit the BHX airport website.